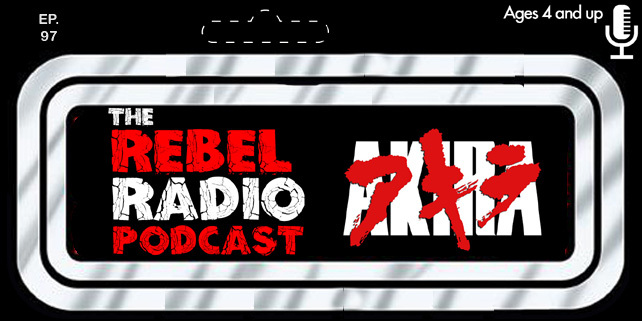 Episode 26 Of The Rebel Radio Podcast Now Playing! Your host Mark welcomes in the usual dynamic (or not so dynamic) duo of Matt "The Electric Monkey" and Frank T. Biscuit as the trio get caught up on the latest news and give their thoughts on some things. They talk Star Trek Beyond, Comic-Con 2015, Jurassic World, and more in what's been happening lately. Spider-Man was cast in the MCU, what do they think? Find out and they also talk about this Independence Day sequel! Frank and Mark then discuss the season 2 premiere of Star Wars Rebels and what they love about the show! The group then discuss the first half of 2015 and their favorite movies so far, favorite trailers, television shows and more as they prepare for the rest of the year. They discuss the rest of 2015 a bit as what they are looking forward to the most and Matt goes back in time Terminator style or something, we aren't really sure! All this and more on the latest episode of the show!